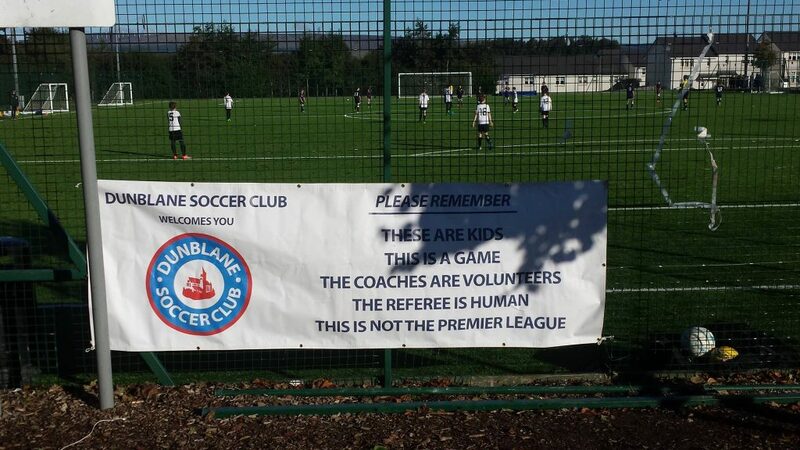 Dunblane Soccer Club was founded in 2000 and has grown to be one of the largest community clubs in Scotland. The club was originally set up to compete in small sided games and started under the name of Dunblane Soccer Sevens before becoming better known as Dunblane Soccer Club. From this early beginning the club has grown rapidly. Membership has increased year on year to the current position of over 300 playing members. The club is central to the local Dunblane community and surrounding area with teams from our youngest at under 6 to the oldest at under 19. in 2016 we also formed an adult amateur team and a new Girls section. We encourage participation and development with a committed group of coaches and supporters which helps DSC be a great place to play football.